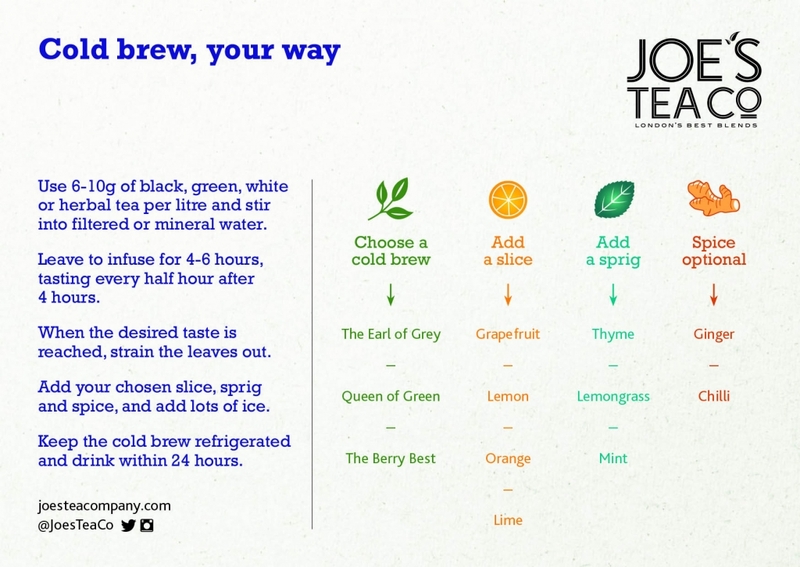 Cold brew tea recipes | Joe's Tea Co. 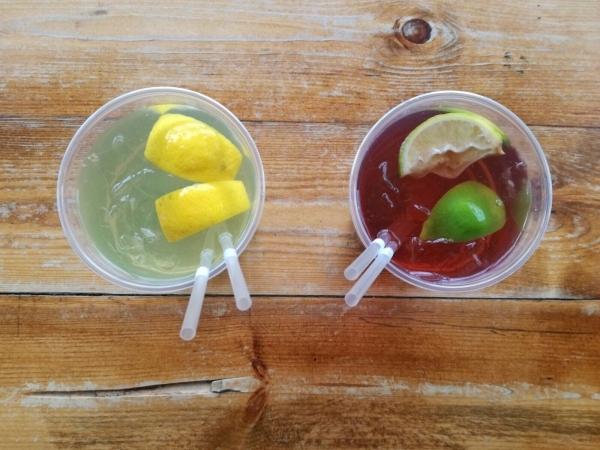 Cold brew tea is a deliciously versatile summer drink, quick to make, colourful and available in many different flavours. Many people think it’s a complicated drink to make or that you need specialist blends, the good news is that it’s not complicated and all you need is some organic tea or herbal infusions, some cold water and a vessel. The perfect non-sugary mixer for a cocktail with way more interesting flavour profiles, add a dash of your favourite spirit for the wow-factor when entertaining guests. For a healthier option, the high level of antioxidants in cold brew green tea are believed to reduce cholesterol, prevent cardiovascular disease and many more. Not a green tea fan? Try adding fruits, herbs and spices to create your favourite concoction. 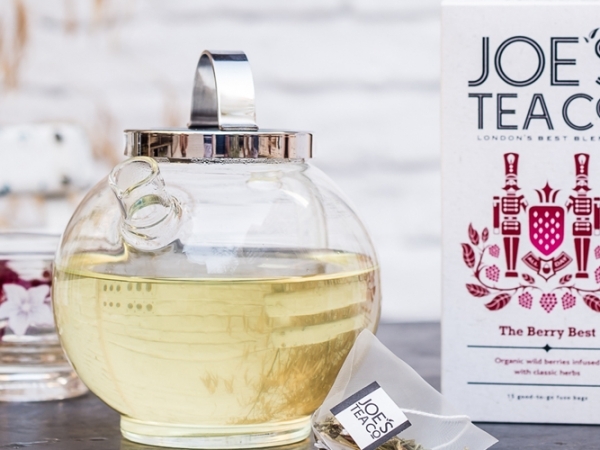 Discover the benefits of white tea here too. Below we share our tried and tested tips for how to make cold green tea, as well as black, white and herbal cold tea infusions. Using 6g – 10g of good quality, organic green, black, white or herbal teas in either loose leaf or pyramid bags per litre of mineral water at room temperature. Stir and leave to work its magic for 4 – 6 hours. After the fourth hour, taste and either remove the tea bags/strain out the tea leaves or leave for a bit longer. The flavours can change quite quickly, especially with green, black and white teas, so taste often and as soon as it tastes perfect, remove the tea/herbs. And just like that, you’ve got a cold brew tea. At this stage the tea will keep refrigerated for one to two days. When you’re ready to serve it, the next part is up to you. 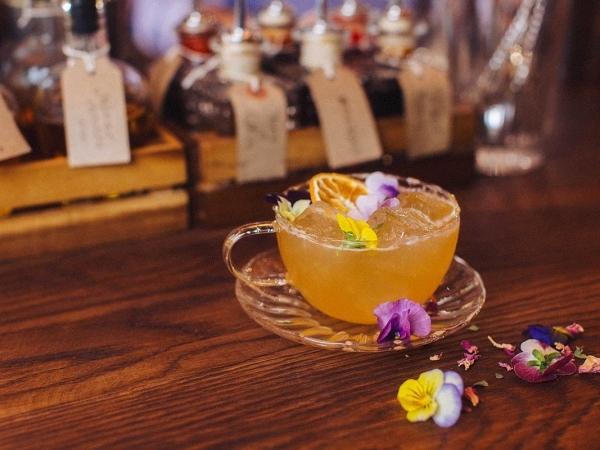 Jazz it up with a sprig, a slice or some spice, and play around with flavours. Pour over ice, decorate and enjoy. Oh, and we almost forgot, don’t forget to add a dash of your favourite spirit for a summery cocktail without the calories.